Cooperative Governance and Traditional Affairs Minister Zweli Mkhize. Instead of returning the money, Thabo Mokwena deposited it while waiting for a letter from Treasury. A parliamentary committee has heard how the suspended Mahikeng Local Municipality manager, Thabo Mokwena, failed to return a R69 million duplicate payment that was deposited into the municipal account from the National Treasury. Mokwena allegedly decided that the municipality should invest the money – which was mistakenly paid to the municipality – in VBS Mutual Bank. 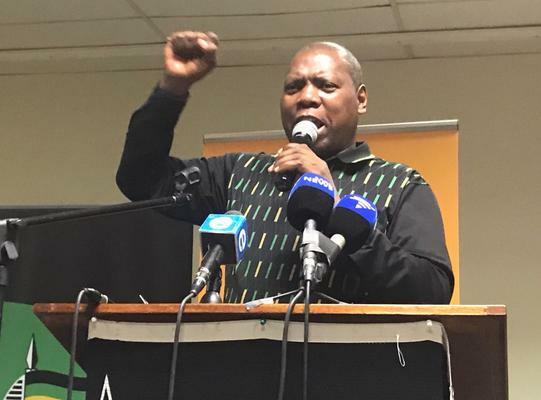 Minister of Cooperative Governance and Traditional Affairs Zweli Mkhize told a parliamentary committee that Mokwena’s conduct was “unbecoming”. “In Mahikeng, Treasury accidentally made a R69 million deposit into the municipal account. When told about the mistake, the municipal manager [Mokwena] demanded that a letter be sent to him explaining how the money had landed in the municipal bank account. “At a later stage, the municipal manager explained that cooperative governance took too long to send the letter, and the money was invested elsewhere,” said Mkhize. The minister told the committee that law enforcement agencies would have to wait for the outcomes of a forensic audit before embarking on any legal procedures. “We need a forensic audit to indicate who authorised the payment of monies into VBS. It is only then that we can open cases of fraud and corruption,” said Mkhize. Mahikeng Local Municipality invested nearly R90 million in VBS Mutual Bank between August and December 2017. In a bid to get its money back, the municipality filed an urgent application at the Limpopo High Court earlier this month to have the embattled bank liquidated. The municipality had several failed attempts to withdraw funds from VBS between November 2017 and February 2018. Meanwhile, the Mahikeng community is faced with a disruption of services related to refuse removal and water shortages. Business people are also having trouble collecting payments for services they have provided to the municipality. Treasury has announced there will be no bailouts for municipalities that invested in VBS Mutual Bank.